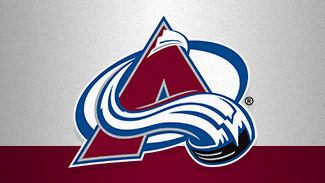 After an offseason spent extending contracts and re-signing key free agents, the Colorado Avalanche will enter 2012-13 looking very similar to the team that narrowly missed the Stanley Cup Playoffs last season: very young, very raw -- and very talented. Will another year of experience for the young core be enough to put Colorado over the top? Can they survive a grueling season in the Western Conference? Can goaltending, defense and offense put it all together and return the Avalanche to the playoffs for the first time in three seasons? 1. Did the Avalanche do enough this offseason? It was a relatively quiet offseason for Colorado in terms of trades and free agency, and some fans are undoubtedly concerned that not enough was done to improve the Avs' 11th-place finish in the West. Upon closer inspection, the organization took a few steps – albeit small ones – toward a return to the postseason. Two trade deadline deals injected a vital boost into a tiring offense. Steve Downie joined from the Tampa Bay Lightning and scored seven points in his first four games, tying Theo Fleury for the best start in team history. Colorado then picked up Jamie McGinn from the San Jose Sharks, and his 13 points from March 1 to season's end were tied for the team lead (with Paul Stastny). Colorado preserved all the pieces of its offensive puzzle, signing McGinn and Downie to two-year deals and bringing back defensive-scoring leader Erik Johnson, potential franchise player Matt Duchene, and steady winger David Jones. Only Ryan O'Reilly remains unsigned. Add PA Parenteau's acquisition in free agency and Colorado's offense is looking a lot more potent this season than last. 2. Can Gabriel Landeskog avoid a sophomore slump? The No. 2 pick in the 2011 NHL Draft made a seamless transition to the next level, earning a place on the Avalanche with four goals in his first eight games. Unlike No. 1 pick and Calder Trophy nominee Ryan Nugent-Hopkins of the Edmonton Oilers, Landeskog stayed healthy and consistent all season. He led rookies in shots on goal (270), tied Nugent-Hopkins for most points (52), and got his due when he was named rookie of the year. Can Landeskog continue that pace into 2012-13? He played in all 82 games in 2011-12, 20 more than he had ever played in a season. He went on to take the assistant captain post for Team Sweden at this spring's World Championships, where the 19-year-old forward had a goal and four assists in eight games. Recent history would point to a letdown. Jeff Skinner of the Carolina Hurricanes scored 20 fewer points in his sophomore campaign, and the 2009-10 Calder winner, Buffalo Sabres defenseman Tyler Myers, saw his plus-minus drop from plus-13 to 0, and he scored 11 fewer points. However, Landeskog should be comfortable if the young, exciting line of he, O'Reilly and Downie remains intact. 3. 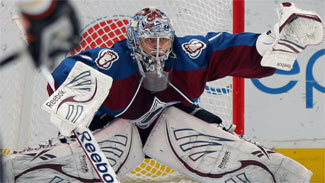 Is Semyon Varlamov Colorado's long-term answer in net? The major concern surrounding Varlamov in his two seasons with the Washington Capitals was one of fitness. On multiple occasions when he was thought to be their next starter, the injury bug struck, and eventually young goalies Michal Neuvirth and Braden Holtby surpassed "Varly" as Washington's goalie-in-waiting. Now, after a full season in Colorado, the question is no longer one of health but of ability. After a strong start with the Avalanche in 2011-12, Varlamov went 2-8-1 in November and was pulled in favor of aging goalie Jean-Sebastien Giguere. Despite Giguere's repeated insistence that Varlamov was the first choice for Colorado, it was Giguere who put Colorado into playoff contention before a groin injury in February gave Varlamov the starter's job again. The Russian kept the Avs in the race but visibly faded while going later into an NHL season than he ever had, losing five of his final six starts. For the season, Varlamov posted a 26-24-3 record with a .913 save percentage and 2.59 goals-against average. He won each of his eight shootouts, and allowing two goals on 24 attempts. General manager Greg Sherman made no offseason moves at the position, suggesting the organization believes in Varlamov and in the mentor/backup qualities of 35-year-old Giguere. However, with their American Hockey League affiliate, Lake Erie, bursting with goaltending talent, Varlamov's No. 1 title is not a foregone conclusion. 4. Can PA Parenteau reignite Matt Duchene? When the Avalanche signed Parenteau to a four-year, $16 million deal on the opening day of free agency, there was more to the deal than met the eye. Yes, Colorado was in need of a creative winger who could produce offensively, and Parenteau was a natural fit. The 29-year-old exploded in 2011-12, his second full season in the NHL, scoring 18 goals and 49 assists for the New York Islanders. More important than his individual numbers was Parenteau's ability to help John Tavares realize his full potential. The former No. 1 pick thrived alongside Parenteau, hitting the 30-goal mark for the first time and earning a trip to his first All-Star Game. Duchene is a similar player to Tavares and is coming off a disastrous, injury-shortened 2011-12 campaign when he scored 28 points. A skillful winger might be just what Duchene needs to relocate his offensive touch. 5. Can Joe Sacco coach this team to the playoffs? Well, yes, technically he can. He already did, in 2009-10, his first season coaching at the NHL level after holding a number of posts within the Avalanche organization. With low expectations, Sacco and the Avs went 43-30-9 and had the single biggest point increase (26) season-over-season since the 2000 expansion. Ever since, however, Sacco has underwhelmed. Colorado finished further back in 2010-11 than they went up the year before, ending with 68 points. The Avalanche finished better in 2011-12, challenging for a playoff spot after savvy acquisitions at the trade deadline. Just as a very young team was finding its groove, they were exhausted after a long season, and the playoffs again eluded them. Sacco appears to know how to get the most out of his players, but in the grueling Western Conference, Colorado will need all of its roster – young and old – clicking at a high level. With another season of experience and a two-year contract extension padding his confidence, Sacco can use this season to bring Colorado back into the playoffs. 6. Will the penalty kill suffer without Jay McClement? When McClement arrived in Colorado at trade deadline in 2011, the Avalanche were the reluctant owners of the worst penalty kill in the NHL. They finished that season last in penalty killing at 76.1 percent, and allowed the most power-play goals (75). McClement's contribution to that turnaround cannot be overstated. The center's 3:06 per game of shorthanded ice time led all Avalanche skaters and was third in the League among forwards. Landeskog was a distant second, with 1:20 per game. In short, there is no replacing McClement on the penalty kill, and the Avalanche know it. But there are positives for the Avs. Colorado enjoyed a top-tier penalty kill last season, but it might have come at the expense of a good offense. By bringing Parenteau over from the Islanders and keeping the talented young core intact, Sherman and the front office clearly focused on the offensive zone. Jan Hejda and Ryan O'Byrne are back to anchor the blueline, and with a good training camp, a prospect like Brad Malone could take over McClement's shorthanded role.